Surf and Turf Platter for Two: giant King prawns, Moreton Bay bugs, Kilpatrick oysters, lamp rump, Wagyu beef brisket and duck breast, served with butter lettuce salad and truffle fries. Boasting sweeping views across Wollongong harbour, tri-level Harbourfront Restaurant is stunning both night and day. Breezy outdoor decks and floor-to-ceiling windows make the most of the views on every level, while friendly, professional service adds to the relaxed ambiance throughout. Call into levelone downstairs for a glass of wine and a light bite after the beach, or indulge in some finer dining on the floor above. 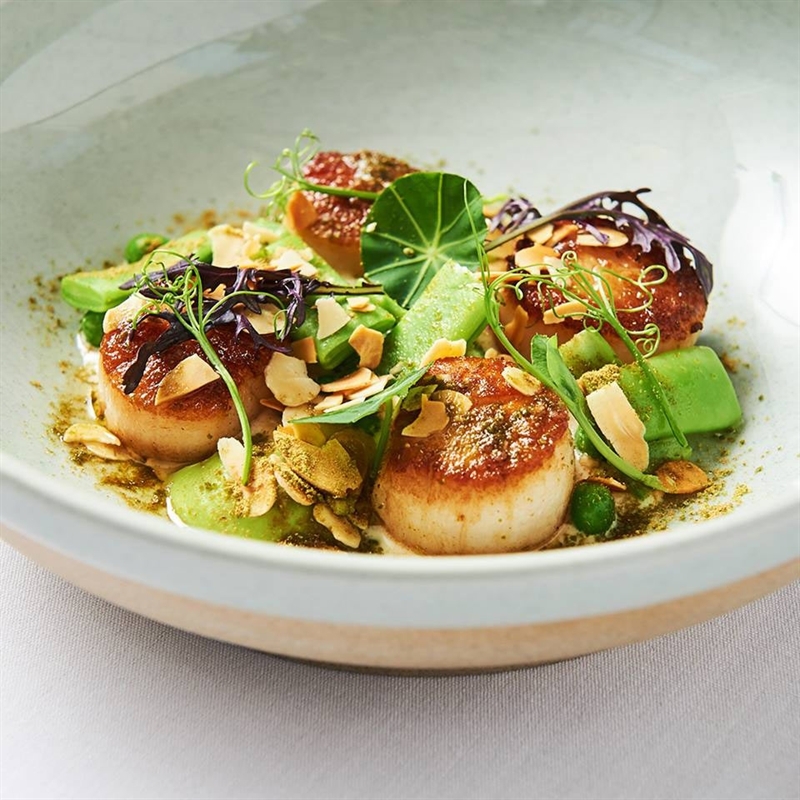 While the extensive menu offers something for all tastes, the specialty is seafood – perhaps start with a sashimi tasting plate for two with yellowfin tuna, hiramasa kingfish, ora King salmon and natural Sydney rock oysters. 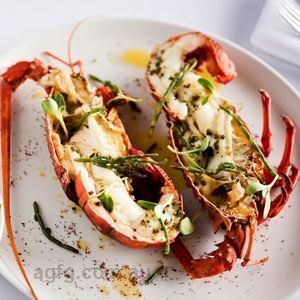 For the main affair, be enticed by grilled Moreton Bay bugs, with lemongrass, ginger and coconut sauce, jasmine rice, coriander, chilli and shallots. We have eaten at the Habourfront and level one many times over the last 10 years. For the last 7 years we have taken our social group of 50+ people for a function there and could not be happier with the food or service. I hosted my engagement party here and it was perfect. I could not have asked for a better place to have it. The venue was beautiful and private. We had the whole level one restaurant to ourselves with a private bar. The venue didn't require many decorations to be brought in as it is already so beautifully set up on it's own. The staff and management were amazing and so accomodating for any of our needs or requests, even last minute. We were accomodated for extra tables, a photobooth and bringing our decorations in to set up well before the event began. They provided more than was required, even helping us with our cake and dessert table set up on the night. They went out of their way to make it a great night for us. The food was delicious! We had the option of such a wide range of canape options and on the night, the only thing my guests were complaining about was how full they were and wish they could fit in more! We had separate kids and vegetarian meals which they loved also. I 100% recommend this to anyone and I hope that I can find an excuse to come here again. We had our wedding reception here at harbour front the other week, the night was perfect. Our guest raved about the food, the Waiters on that might were amazing. A little hard to organise with in the lead up but had no problems on the night. I do recommend tho you chase up with then as we didn't get everything we were suppose to get in our package. We would like to thank you for such a wonderful lunch and beautiful setting we had for our volunteers day luncheon last Friday. The staff and service was wonderful, everything ran so smoothly. Our volunteers feedback has been nothing but positive. Thank you. Amazing food and wonderful service. Everyone who attended the Dinner for the Colloquium loved the whole evening. Thank you Harbourfront for making our event even more special and thank you to Paul Boultwood, President, Corrimal Chamber of Commerce for this excellent recommendation. We have had a number of dinner functions for legal professionals at the HarbourFront. We go there for it's fantastic location - it is an ideal venue to show visitors a part of Wollongong's natural beauty - but it's the excellent food and friendly and professional service that makes us go back. Regardless of whether our function is for a small or large group, the staff are happy to ensure all our needs are met. Without hesitation Michael and I highly recommend The Harbourfront Restaurant/ Function experience to anyone after a trouble free wedding reception. Iman De Santis the functions coordinator is one amazing woman, making first contact over the phone to the very day of the wedding it was completely stress free and pleasant organising the details. Nothing was to hard and at all time all the staff were kind, friendly and professional. The organisation of the wedding reception was clear and concise leaving no doubts that we had forgotten something important. Wow ... the food was plentiful and extremely delicious with all my guests leaving full and satisfied! Massive thank you to everyone at Harbourfront restaurant for making our wedding day a dream come true xxxx look forward to seeing you all on our 1st wedding anniversary! We had an amazing time at our wedding. Everything was done wonderfully. The food was amazing and the service outstanding. Thank you so much for making our special day one we will never forget. We couldn't fault a thing. The whole night went so smoothly. I am so glad we chose to have our reception at harbour front the night couldn't have gone better. We would like to thank Angelo, Iman, all the kitchen staff and front of house staff for the amazing jobs they did and for making us feel so special. Tell us about your experience...We celebrated my husband's 50th birthday at the Harbourfront Level One. I would like to commend all the staff that were invovled in organising this event. I would like to highlight the exceptional crew you had working the night of the party especially Paul the Manager on Duty, nothing was too much of an effort and they were all so accommodating to everyone's needs. He is a real credit to your restaurant. The food, service, location and atmosphere was outstanding. All the feedback from our guests were positive and couldn't fault a thing. Thank you once again this is one of the best venues Wollongong has to offer. This is concerning my daughter's engagement on Saturday 26th JUly and the exemplary service given at your restaurant. I would like to compliment the way your customer service people mae the party such an awesome and stress free event. Iman helped us arrange for the party she was very efficient and helpful, she answered all concerns that I had re the occasion. On the night I have to tell you what an exceptional person you have working for you Paul the duty manager, from the minute I arrived till the party ended he was so helpful and efficient . He paid so much attention to every detail of the night and the whole event ran so smoothly thanks to him. The other staff that night were also a credit to your restaurant. The food was exquisite and everyone at the party had such a brilliant time. They all stated that the venue was beautiful . food delicious and service exceptional. So please pass on my thanks to everyone involved as they are a real credit to your restaurant. The Harbourfront is an AMAZING and FABULOUS reception venue! Angelo and his team really go that extra mile to make sure your day is absolutely perfect. My partner and I couldn't have asked for any more. Thank you!!! We would highly recommend this venue to all! Great Food - we had the hot seafood platter for 2. Great Servive - welcoming and nothing was too much trouble. The whole experience was effortless and enjoyable. A wonderful night and I will certainly return. Nothing bad can be said. The food was superb, the wait staff were second to none and the view was the perfect back drop. We will return again and again.